© 2016 Krewe of Excalibur. All Rights Reserved. 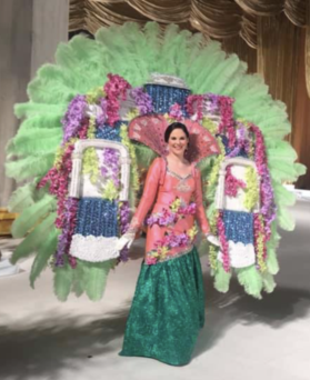 Riding in a Mardi Gras parade has been described as a once in a lifetime experience, but many of our members find themselves coming back year after year because of our emphasis on the social aspects of our Krewe. During the year we offer everything from family outings to formal balls. With our club, you decide how much you want to participate – only want to ride in the parade, no problem. Really like dressing up for an elegant party, we do that, too. • Rock 'N Bowl nights! • Competitive throw prices that are second to none! • New floats designed specifically for our theme! • More social events so you can meet others and most importantly - Have Fun! You love being a parade goer. But wouldn’t it be fantastic to be the one up on the float? The Krewe of Excalibur’s unique theme takes Mardi Gras to the medieval. Our krewe celebrates the best traditions of New Orleans, King Arthur, Queen Guinevere and the Knights of the Round Table. If you know the difference between a knight and a lord, a squire and a steward, and a lady and a maiden, you’re already a member. Our club is known for lavish, over-the-top court costumes and year-round social activities you can enjoy with people just like you. Mardi Gras lover? Prioritize the parade. Medieval buff? Stage a jousting tournament. Or just straddle the worlds between parade rider and partygoer. You’ll have an automatic invitation to outings at Laser Tag, Knight Out Dinners and Rock ‘n Bowl, with crawfish boils and shield-making parties thrown in. Join our faire krewe today.